Can't attend? You can still invest. Because our projects are locally-led, each dollar goes further than top-down global development approaches. So, no act of generosity is too small to make a difference. I have read and agree to the Terms and Conditions and give my consent to World Connect to process my personal data. I understand I can revoke this consent at any time. 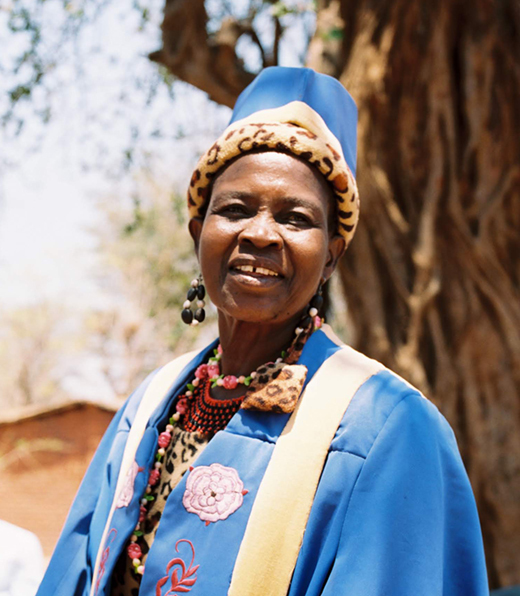 Chief Theresa Kachindamoto is chief of the Dedza District in Central Malawi. She has informal authority over 900,000 people. She is referred to as "The Terminator" for her commitment to and success at ending child marriage. Half of girls under age 18 in Malawi are married. Chief Kachindamoto has terminated 3,500 child marriages since becoming chief in 2003. Herself married at 14 and a victim of forced marriage and gender-based violence, Chief Kachindamoto spent twenty-seven years as a secretary at a college and when she returned to her village to take up her duties as chief, she observed her female friends languishing in poverty as a result of being forced into early marriage. Globally, more than 700 million women around the world were married as children.